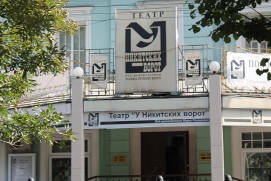 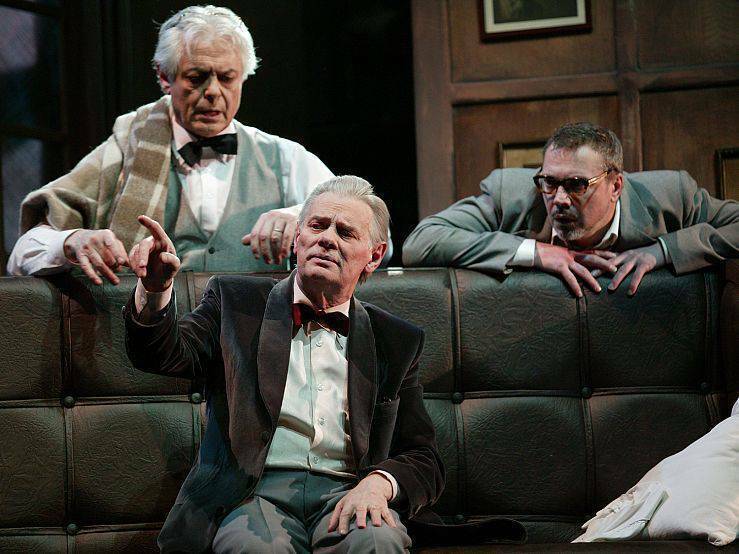 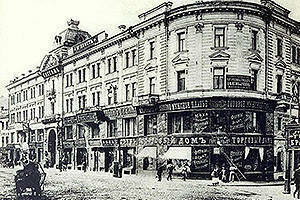 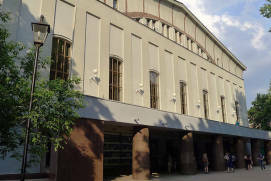 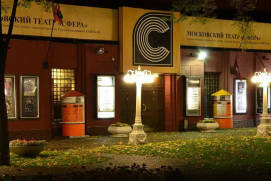 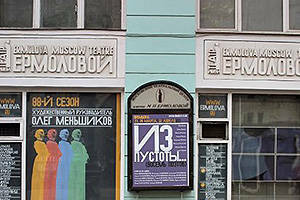 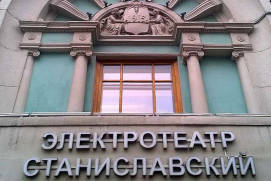 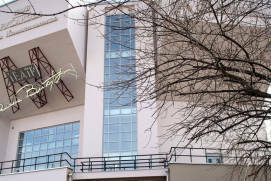 In 2012, the Yermolova Moscow Drama TheatreRussian: Moskovskiy dramaticheskiy teatr imeni M.N. 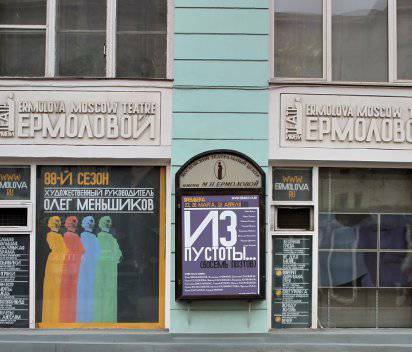 Ermolovoy or Московский драматический театр имени М.Н. 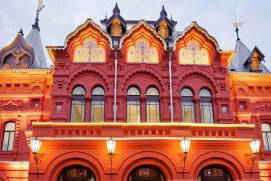 Ермоловой underwent major renovation, when the new artistic director, People’s Artist of Russia Oleg Menshikov, breathed new life into the old house on TverskayaRussian: Тверская Street. 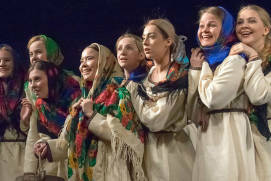 Major changes have been made to the theatre’s repertoire, and the theatre has since opened the door to young artists – novel performances are now being held on the new stage. 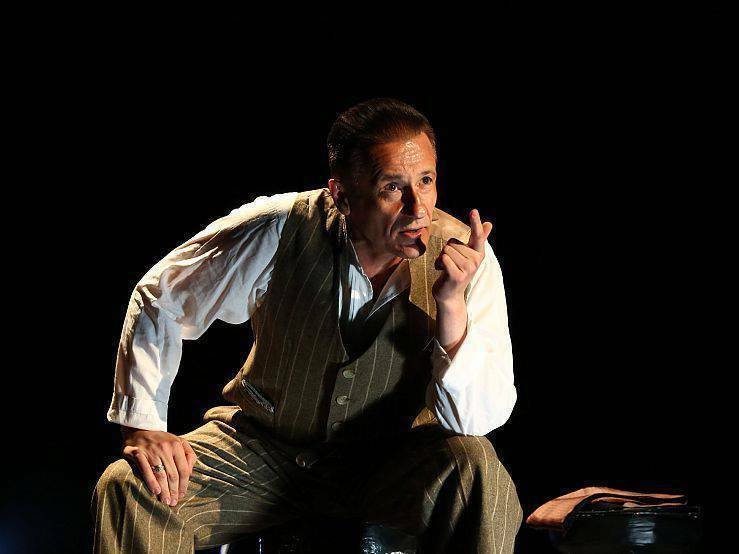 The protagonist of the shows staged in this theatre remains man himself, “a thing in itself”, a young Werther of our time, who is suffering and lonely. 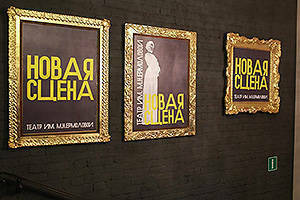 His hesitations and weaknesses, his feelings and his evolution are shown through the prism of time. 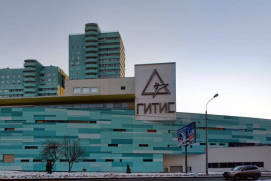 For example, the poetry show entitled From the Void… (Eight Poets)Russian: Iz pustoty… (vosem poetov) or Из пустоты… (восемь поэтов) focuses on the lyrical persona from the works of Silver Agean exceptionally creative period in the history of Russian poetry from the last decade of the 19th century till first two or three decades of the 20th century poets, and in DemonRussian: Демон (a wordless version directed by Sergey Zemlyansky) the character of Lermontov’s poem comes to reflect modern society full of self-righteous posers. 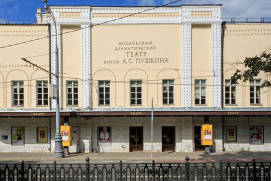 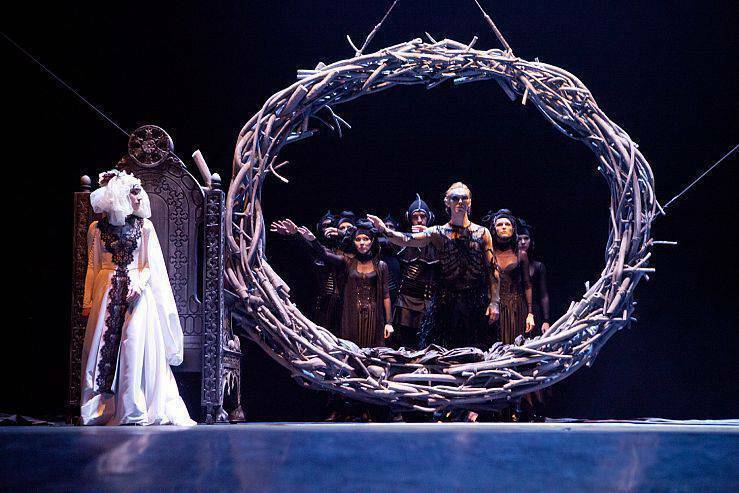 Oleg Menshikov recalled that, back in 2012, visitors to the theatre could see nothing but “bare walls”, and he spent two years contributing to the spiritual and material revival of the theatre. 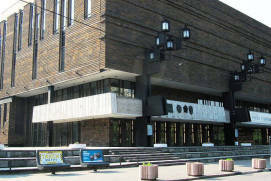 He decided to make the Yermolova Theatre a major venue featuring three stages and set about this task by firstly updating the repertoire. 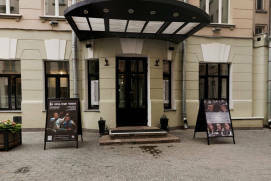 The foyer and the auditorium have since been transformed, along with new posters and other decorative elements. 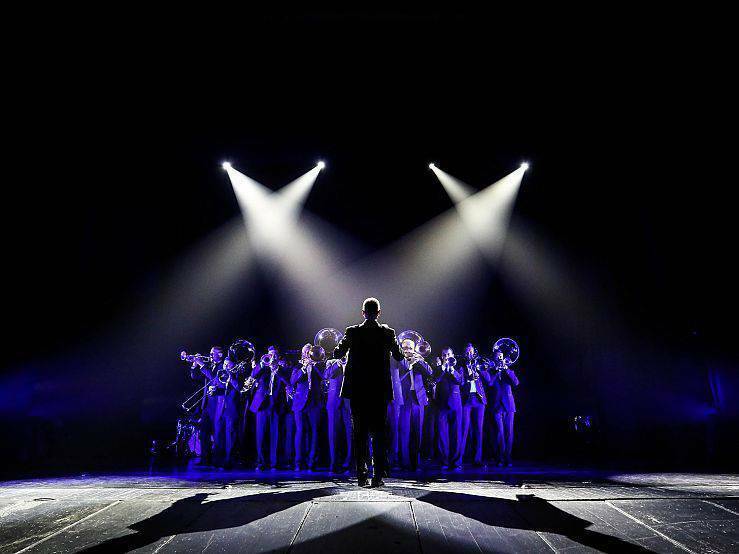 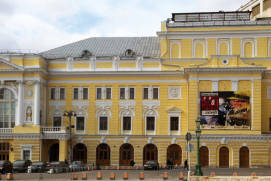 In 2014, the 1,500-square-metre and 149-seat New Stage Russian: Novaya Stsena or Новая сценаwas opened here, equipped with state-of-the-art lighting and sound facilities. 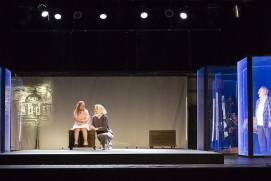 The elevated section of the stage in the immediate vicinity of the audience lacks the traditional theatre “box”, but is easily transformed and moves, so that, all of a sudden, spectators find themselves in the thick of things. 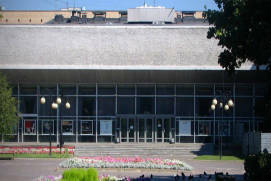 The theatre’s main stage operates separately, and the small auditorium is used for rehearsals. 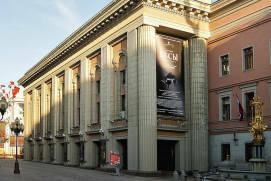 Some performances can be staged the foyer or even in the crush bar, in which readings often take place, while other rooms can be used for film screenings, exhibitions, installations and fashion shows. 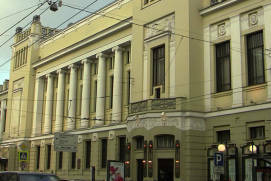 The building currently housing the theatre is a fine example of 19th-century architecture. 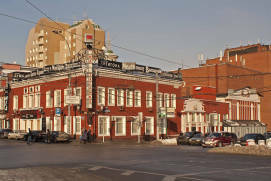 The building was revamped in 1887 to house the Lidya Postnikova PassageRussian: Passazh gospozhi Lidii Arkadyevny Postnikovoy or Пассаж госпожи Лидии Аркадьевны Постниковой (named after its owner), and was the first structure in Moscow in which the Electric Lighting SocietyRussian: Obschestvo elektricheskogo osvescheniya or Общество электрического освещения set up a small power station to power the building. 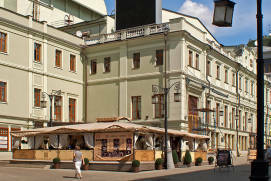 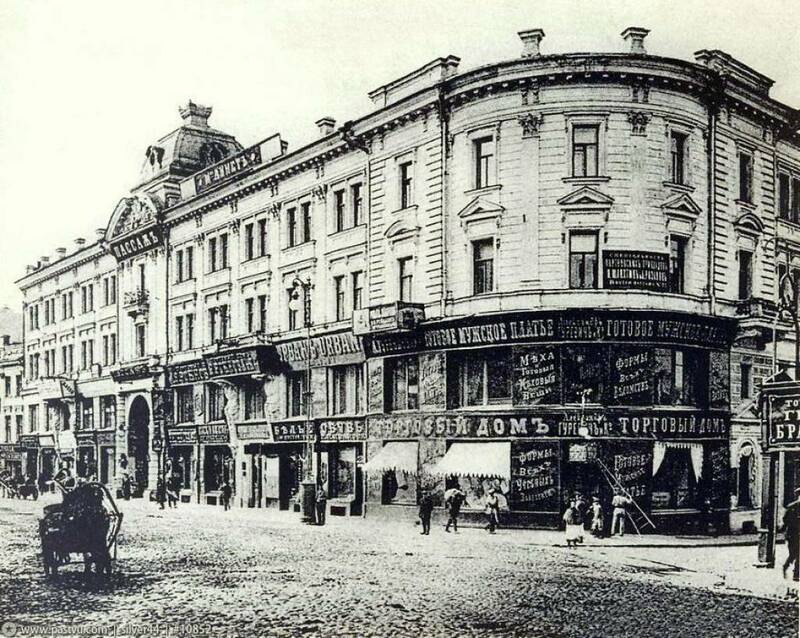 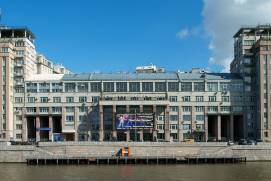 On this site, the theatre dates back to 1925, when a group of graduates from the Moscow Maly TheatreRussian: Malyi teatr or Малый театр School decided to organize a touring troupe and named it after the then popular actress Maria Yermolova. 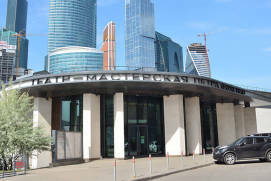 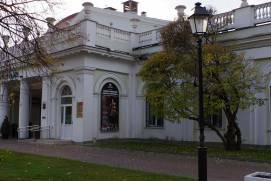 Today, the theatre has a museum dedicated to its history and Maria Yermolova’s life and work. 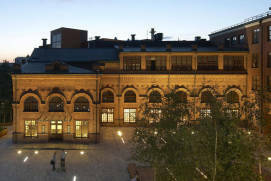 The unique and beautiful interiors of the building is a whole separate subject deserving of attention. 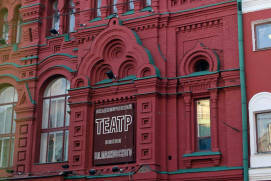 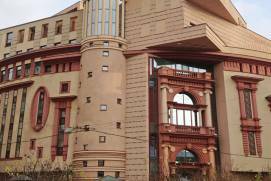 What’s more, this theatre located in the immediate vicinity of the Kremlin. 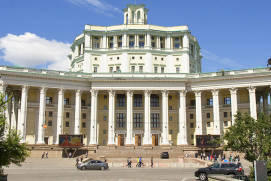 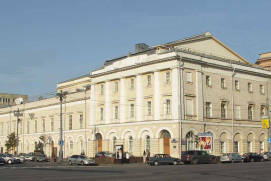 For many years, talented stage directors such as N. Khmelyov, A. Lobanov, L. Varpakhovsky, V. Komissarzhevsky, P. Vasiliev and A. Shatrin staged their productions here, including V. Andreev who headed the theatre for almost forty years. 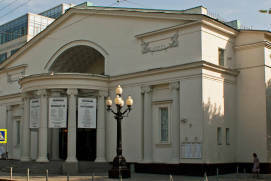 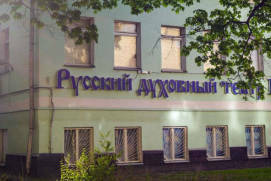 From 1985 to 1991, the theatre was managed by Valery Fokin, who is presently the head of the Alexandrinsky TheatreRussian: Aleksandrinskiy teatr or Александринский театр in St. Petersburg. 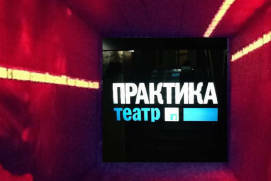 It is Fokin’s productions, SpeakRussian: Govori ir Говори and Invitation to a BeheadingRussian: Priglashenie na kazn or Приглашение на казнь that marked the beginning of the current stage of the theatre’s history. 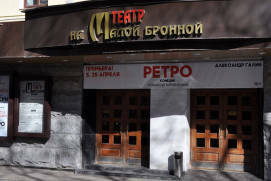 Like many other Moscow troupes, the Yermolova Theatre went through a change in 1989. 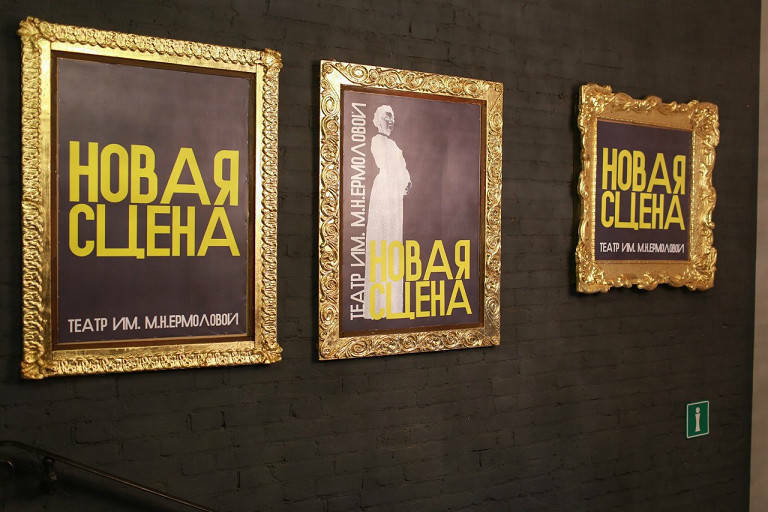 It split into two separate troupes which continued until 1996, when the theatre’s newly reappointed director Vladimir Andreyev reunited the two conflicting troupes by staging F. Schiller’s Mary StuartRussian: Мария Стюарт. 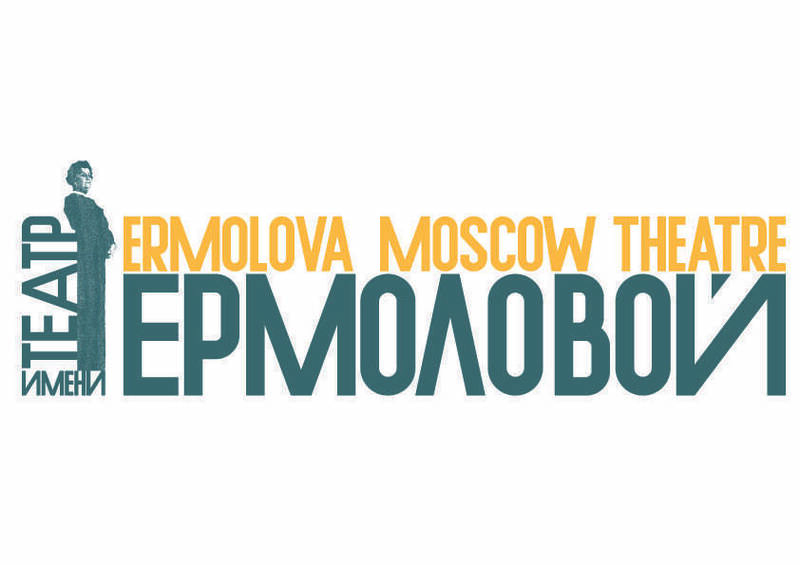 Mo: 12 p.m. - 6 p.m.
Tu: 12 p.m. - 8 p.m.
From 300 to 3000 rubles depending on visitor category and programme of visits.